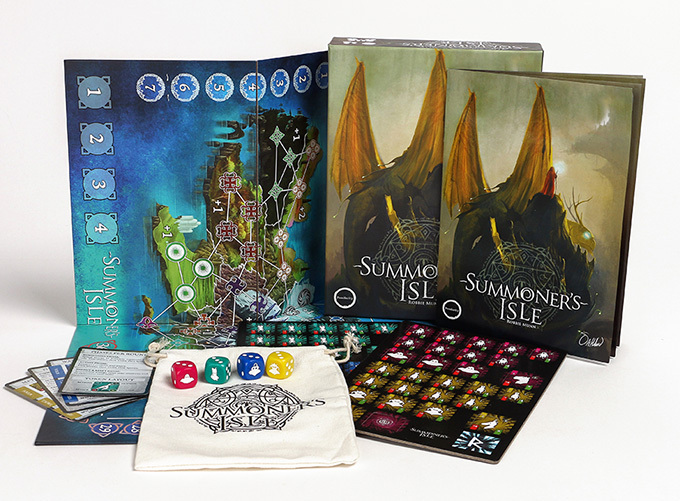 Summoner's Isle is a beautifully illustrated, light, portable, area control game. The board folds down to fit into a small box, setup time is minimal and the rules are easy to follow. Whether 2, 3 or 4 players, the gameplay is always tight and enjoyable. 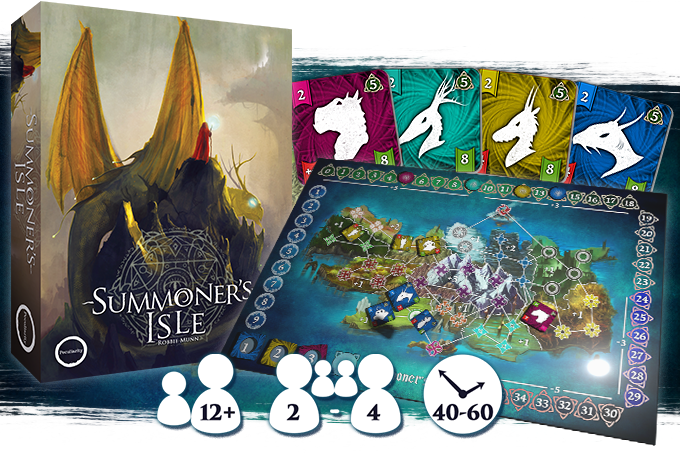 Summoner's Isle is a game of area control and resource management with elements of luck and cunning. 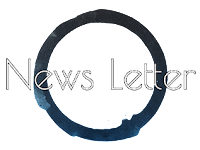 Form uneasy alliances, time your strikes well and maybe you'll take the mantle of Summoner for yourself. To win you must attain energy. You do this through battle, through clever positioning of your creatures and by dominating territories. However, summoning creatures costs you energy, so the need to carefully manage your energy reserves will be vital. This game was brought to life via Kickstarter in October 2018 and will be retail ready by April 2019! look for it online, on Amazon or in your local game store! A: Where can I summon a creature to? Q: Any location on the board is a valid summoning location. A: What is a territory? Q: A territory is represented by locations with matching symbols. Most territories also have a highlighted border to help separate them. A: Which territories do the locations at the top and bottom of the map belong to? Q: None. These locations are their own territories of just one location a piece. With some amazing support the rule book has been translated into various languages, just click on a flags below to get to the download page. Fancy having the Isle of Thule as your computer wallpaper? 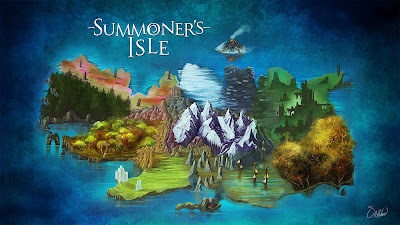 then I have just the thing for you too, click on the image below to download Simon Hollands wonderful artwork used in Summoner's Isle.